"Hi, it's Kimberly again! This week, I picked Strawberry Fields as my current favorite. 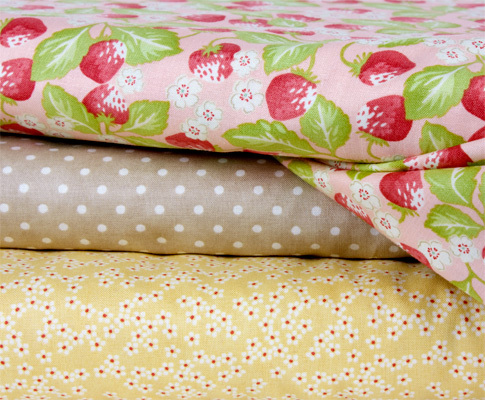 I absolutely loved working with these fabrics in our new Designer Mystery Block of the Month. This collection is my all-time favorite collection by Fig Tree Quilts!"